Field trips meet at the WNMU Fine Arts Center south parking lot unless otherwise noted in each trip listing. Morning meeting time is noted in each listing. We carpool when possible. NOTE: No Field Trips in December, instead we do the holiday [ Bird Counts ]. Email notices sent 3-7 days in advance - Audubon's monthly field trips sometimes miss good birding or butterfly possibilities because they must be planned far in advance. 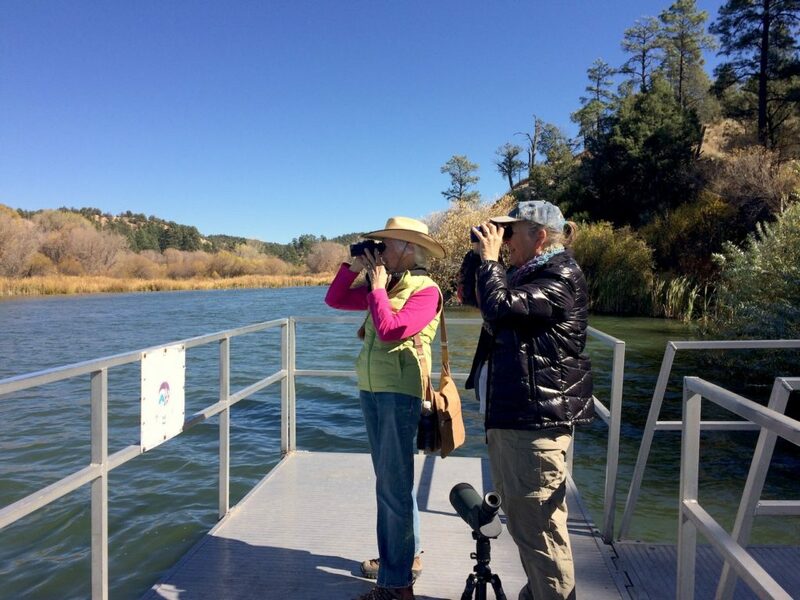 To take advantage of bird sightings or lovely weather, when birds or butterflies abound, we have Spur-of -the-moment Field Trips. The email indicates where + when to meet and the destination. So check your email regularly, especially during migration time and when the butterflies and wildflowers start to appear. Member? OK! Get on the List! Find out what birds are being seen in our region (or anywhere in the world). Use the explore feature to find bird sightings reported by county or by hotspots. The bar chart feature lets you find out what birds to expect throughout the year in a region or location. And, report what birds you see after becoming a registered user. eBird maintains your bird list for you if you like to keep a list.